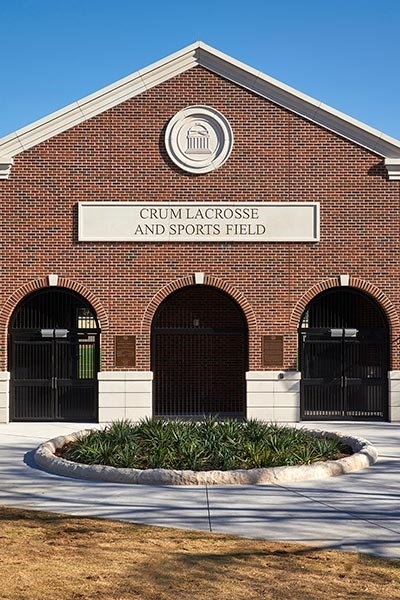 Rogers-O’Brien completed the new Crum Lacrosse and Sports Field building on the southeast corner of the SMU campus. 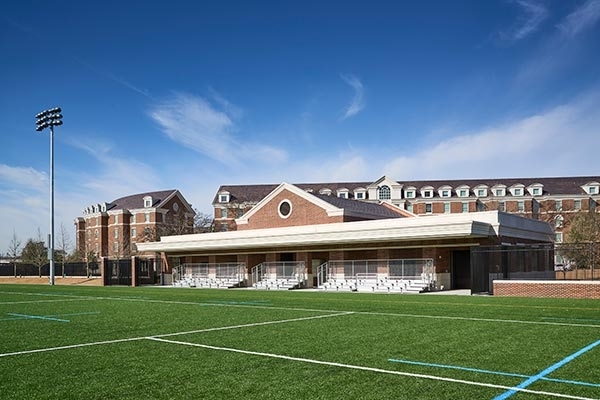 The 8,000-SF project features a new building dedicated to men’s and women’s lacrosse that includes locker rooms, concessions and covered bleacher seating. 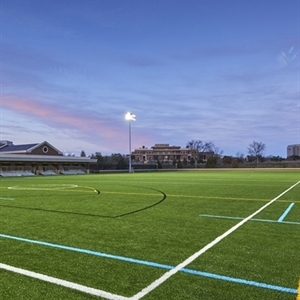 The new field will be used for lacrosse, soccer, baseball and rugby. Additionally, there are tennis courts and parking. 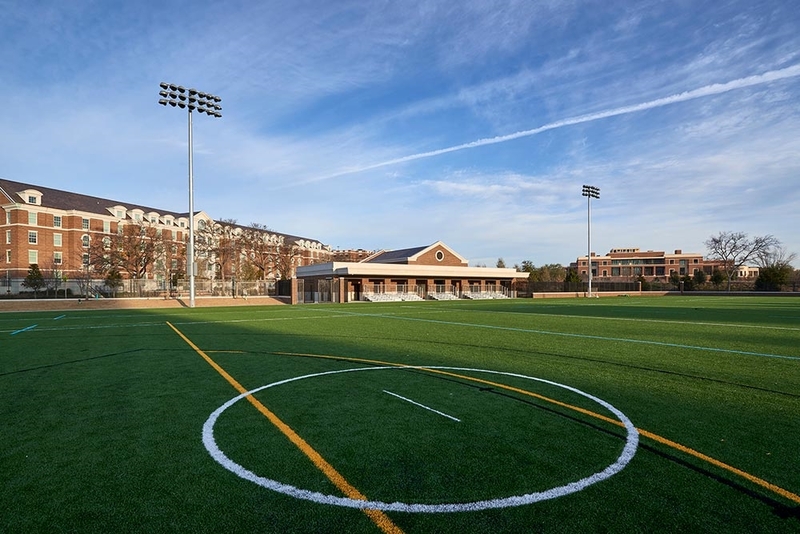 The project also included new utility infrastructure and hardscaping. Building includes men’s and women’s locker rooms, bleacher seating and concessions.